A modern classic style with a popularity spanning 50 years, this 1460 boot from the Dr Martens Vegan Collection is made from slick, glossy metallic oxblood chrome material to the highest standards for a premium look and feel while being 100% Vegan friendly. Based on the popular original, this 1460 boot has an 8-eyelet lace-up with metal ring eyelets, flat black laces, and stitched detailing on the side panels. Showing their heritage, Dr Martens have included their iconic yellow z-welted stitching around the sole unit of the 1460 unisex boots and their original Air Cushion Sole for enhanced comfort. 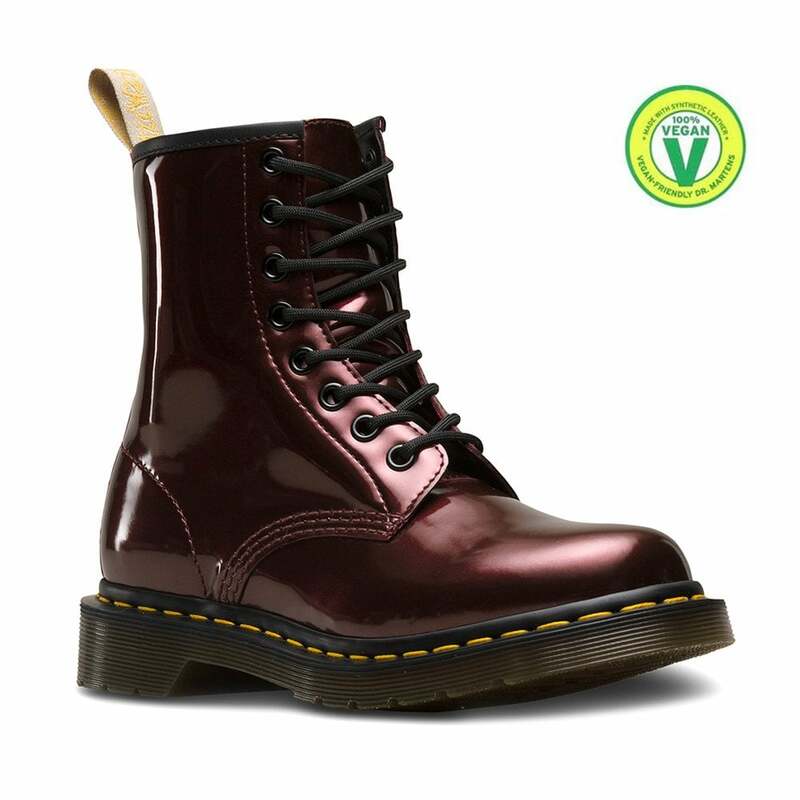 If you're wanting a soft and supple, quality non-leather boot, then the stunning metallic oxblood chrome paint, Dr Martens Vegan 1460 lace-up boots with a sole that is resistant to oil, fat, alkali and acid, offer you the perfect balance between style, durability, comfort and ethical construction.